The Old Town of the university town Bamberg is the largest preserved historical city centre in Germany and is source of many myths and legends. Beside the impressive Bamberg Cathedral, the very famous „little Venice“ and all the small and crooked alleys, one of my favourite buildings is the Old Town Hall. 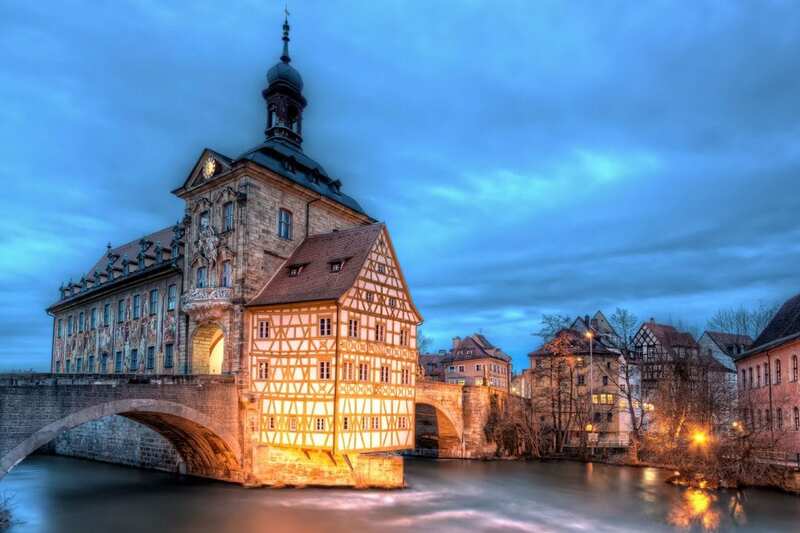 But it is not just an ordinary Town Hall, as you find it in any other city, Bamberg’s Old Town Hall was built in the middle of the river Regnitz. The Old Town Hall is for me the most remarkable building in Bamberg. 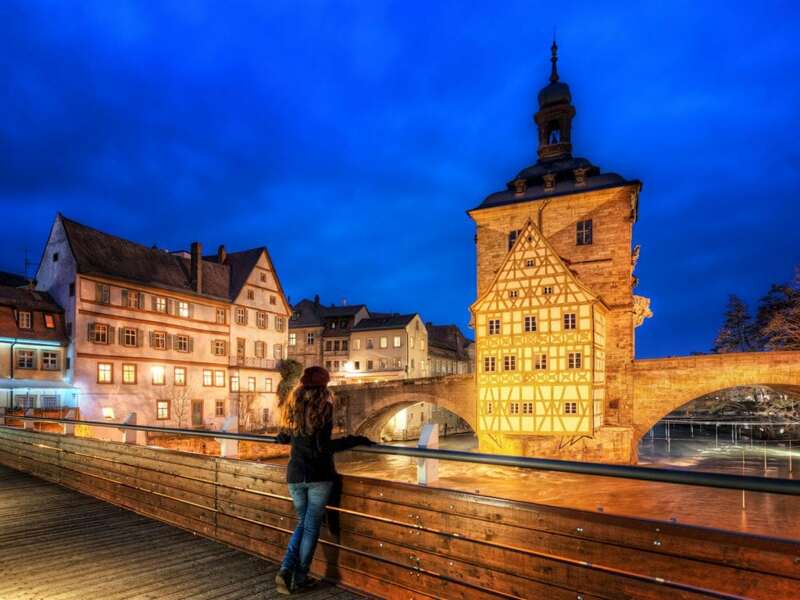 It was built in the 15th century in the middle of the Regnitz River and for a long time marked the border between the clerical, bishop-led Bamberg and the civil town center. Not affected by the war it was solely the river that damaged the town hall several times.